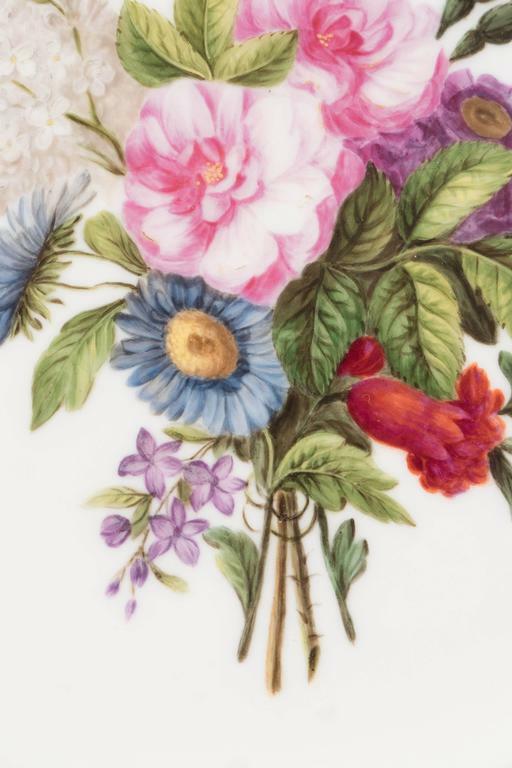 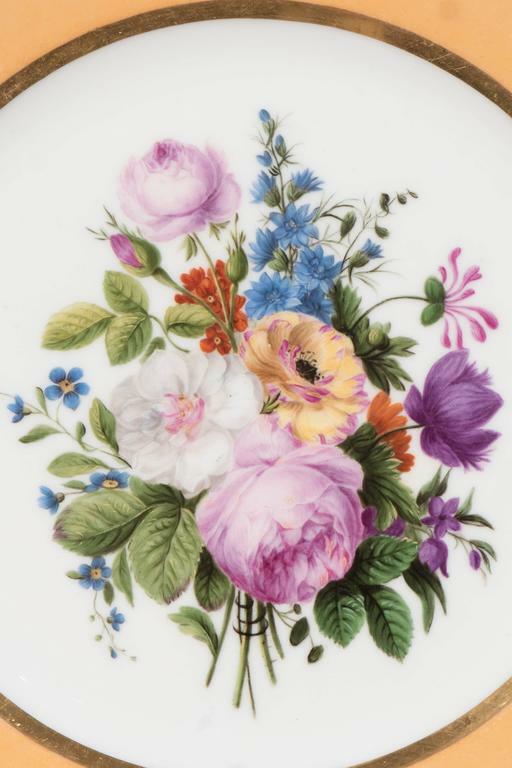 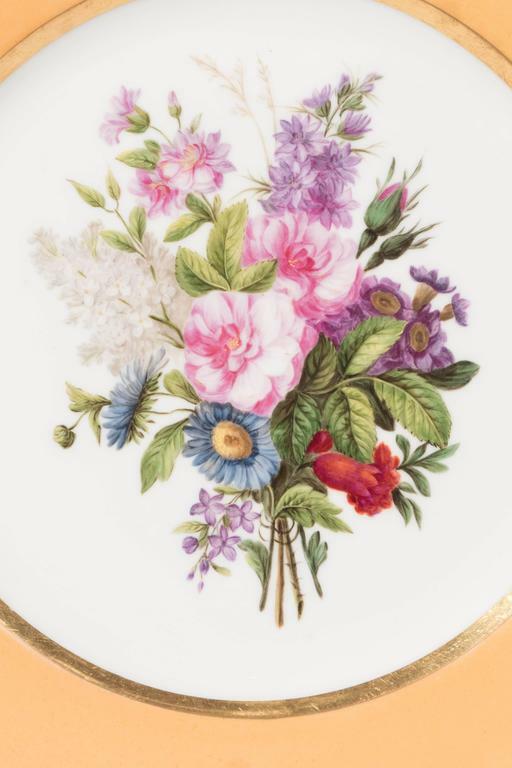 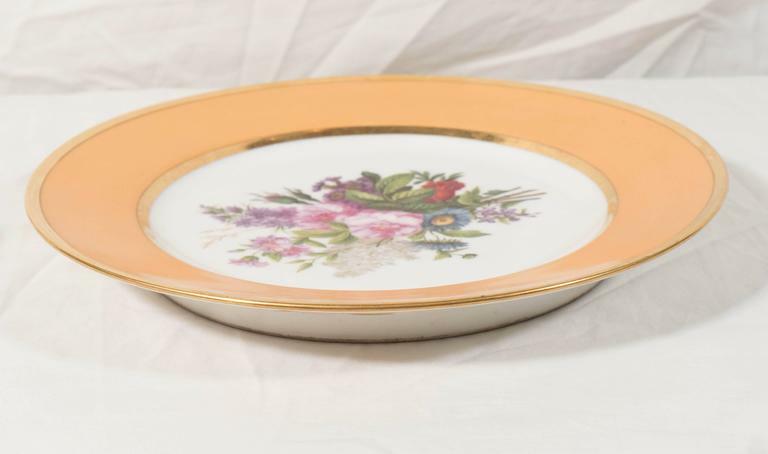 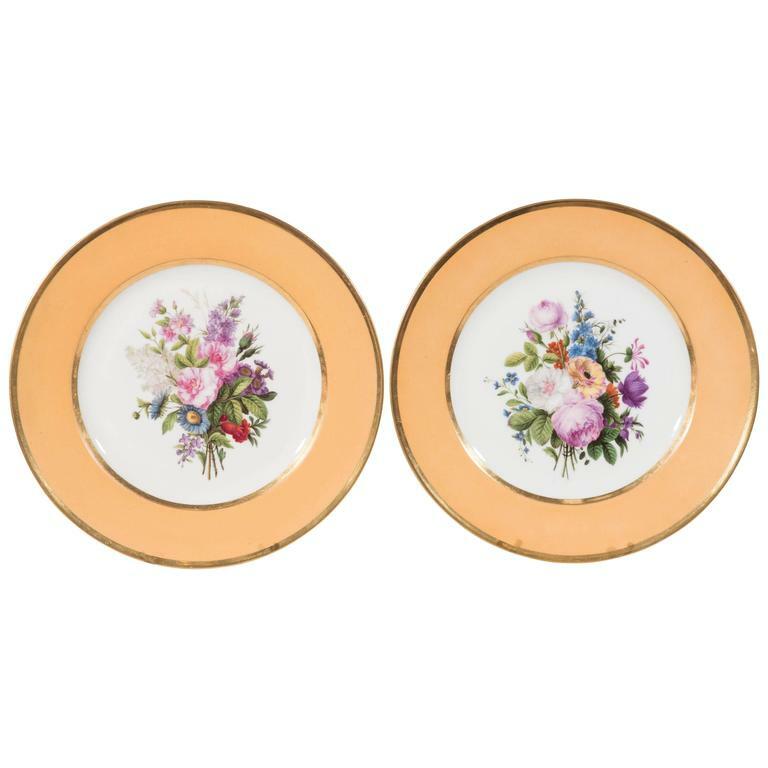 A pair of beautiful Sèvres porcelain dishes each with a hand-painted bouquet of exceptionally well painted flowers in soft pinks, blue, purple, and yellow. 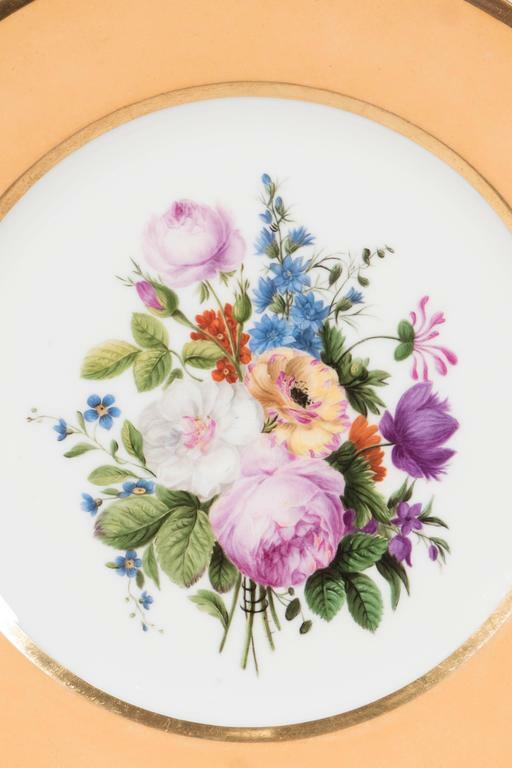 The center bouquets are complemented by a rich apricot border. 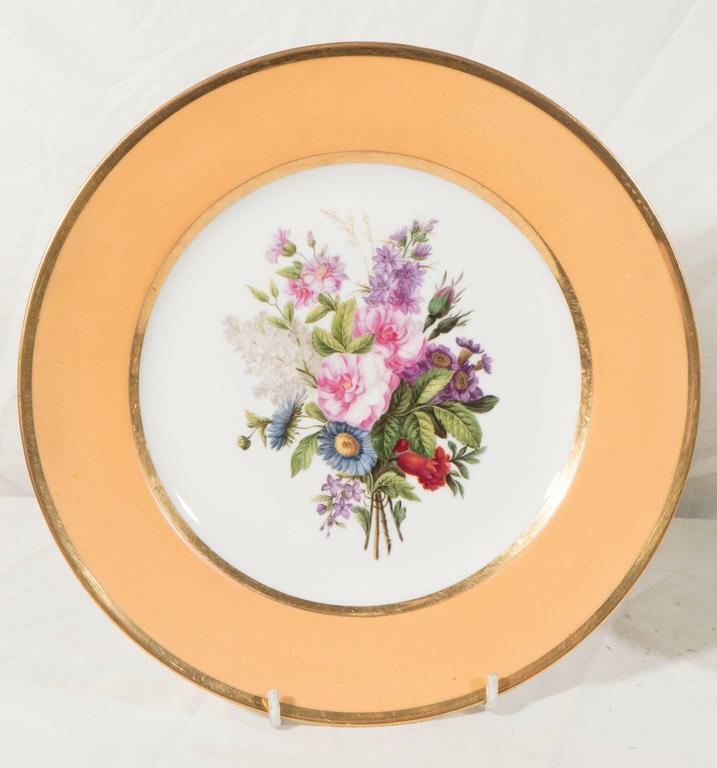 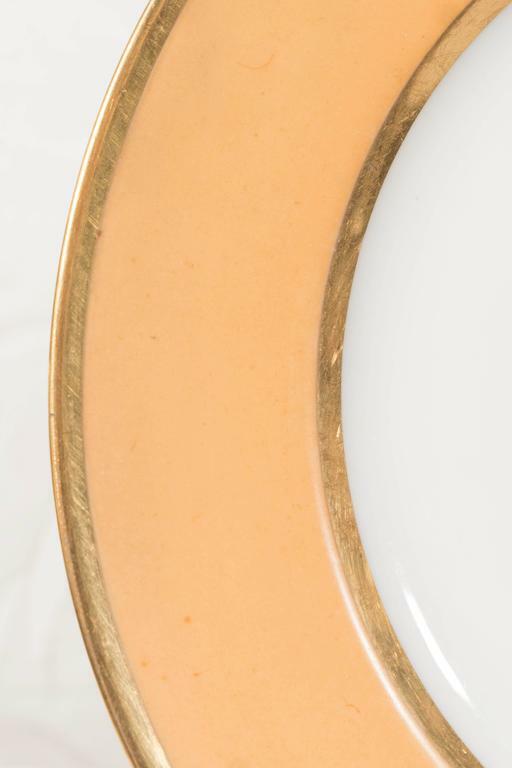 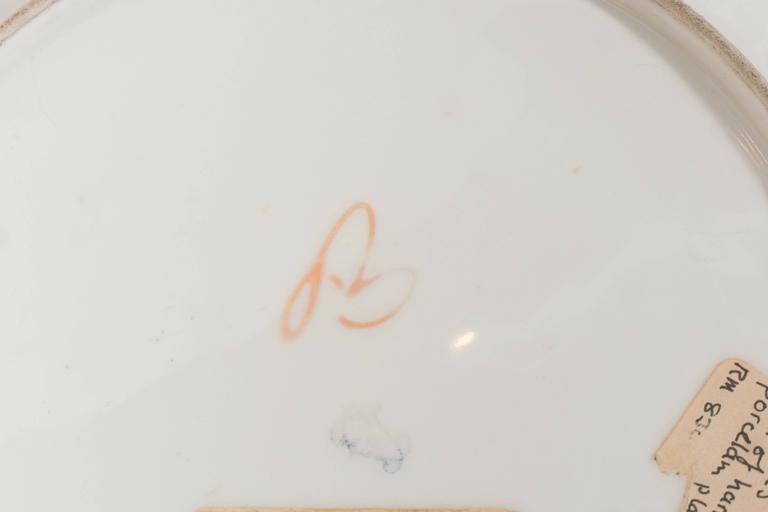 Dimensions: diameter 9.25 inches Condition: Excellent Price: $1700 for the pair Background The Sèvres company was founded in 1738 with the support of the king of France, Louis XV and Madame de Pompadour. 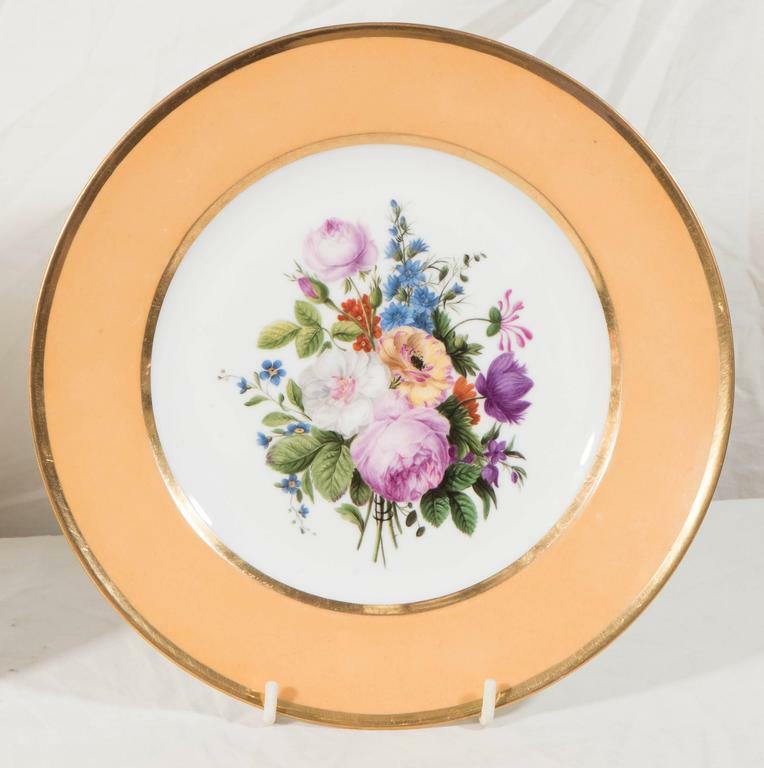 In 1756, the factory moved to Sèvres, near Madame de Pompadour's Bellevue Palace. 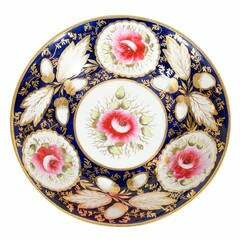 In 1759 Sèvres became the Royal Porcelain Factory of the King of France.